The back head & wrapper have been painted and the boiler set in place. 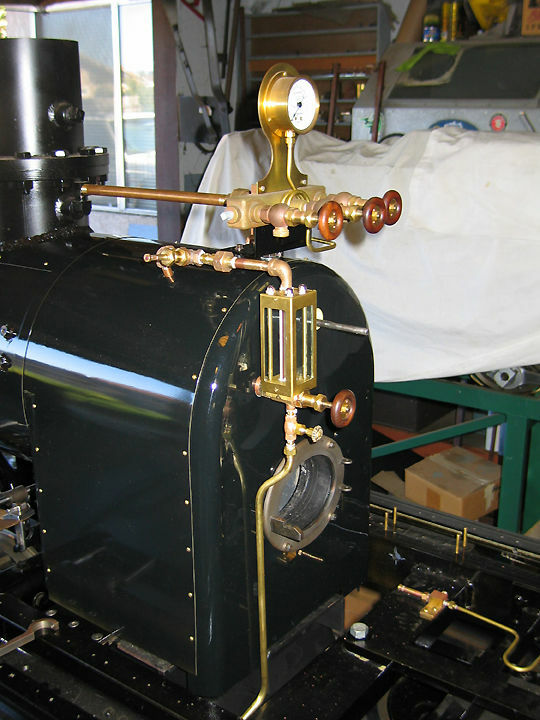 This is a Briggs type boiler, which means that there are no water legs. There is just water over the crown sheet and not on the sides. These boilers are just naturally hotter for the operator's feet so there is an inch of refractory cement inside the firebox, and an inch of high temp fiberglass blanket under the boiler jacket. You can hold your fingers on the back head for about two seconds when the engine is fired up. The fire door also has half an inch of refractory cement on the inside.